There are many different clouds in the sky and they all have different names. These names are based on the classification that Luke Howard had given them, a long time ago and interestingly enough, these names are still applicable to this very day. Cumuliform clouds are only an example of the different types of clouds that we see today, and will be discussed in detail here. There are many ways to describe Cumuliform or Cumulus clouds. They have a distinct vertical development and clearly defined edges. Its name, “cumulus” is a Latin word which when described, means pile or heap. Compared to other clouds, they are seen as noticeably “puffy” and they truly fit the description of being “cotton-like.” Cumulus clouds are often found in lines or clusters, but they can also be found on their own. Cumulus clouds are composed of water droplets and they are known to exhibit some vertical structures. Their bases are no more than 3,000 feet above the ground, so they are classified as low-lying clouds. These clouds are formed a certain way, just like all other types of clouds. When warm air rises and begins to cool, it will undergo condensation. A typical environment for these clouds will be through convection, or a condition wherein a parcel of air appears to be warmer than the atmosphere surrounding it. Slowly, the air reaches dew point, and water, which is in liquid form turns into vapor and forms a cloud. Clouds can form in different sizes, and this is dependent on the temperature of the atmosphere. Clouds normally form in that way, but they can also form differently, depending on the condition. The formation of these clouds is also dependent on the moisture of the air. Humid air can produce lower base clouds and temperate areas can produce higher base clouds. Naturally, in areas of high altitude levels, you can find clouds with bases that are over 20,000 feet. Cumulus clouds that form over the sea are arranged distinctively in lines or patterns. These lines are known to create vertical movements of air, and between them you will encounter more gusty and slightly veering clouds, but under these lines, you will find lighter winds. Cumulus humilis: These are fair weather clouds that appear rather small and they are commonly seen in the afternoon sky. They hardly produce any precipitate, but it is possible for them to trigger precipitation especially when heat is released from below. Cumulonimbus: These clouds undergo the anvil formation phenomenon and they are most commonly referred to as clouds that are responsible for producing thunderstorms with precipitate. Cumulus mediocris: These clouds appear rather shallow but even so, they are able to produce some precipitate. Cirrocumulus: These are stable clouds, which are broken by some kind of wave of motion. They are often known to create a very distinct “mackerel sky” because the clouds look like fish scales. Cumulus congestus: These are short-lived clouds that appear before a heavy downpour of rain. Altocumulus castellanus: These clouds are shaped like turrets and follow a convective motion. Compared to most cumulus clouds, they are not produced due to the heating of the ground, but they form right at the mid-level layer. They are middle clouds that have vertical developments and are composed of ice crystals. Altocumulus undulatus: These are stable clouds that are modulated by a wave of motion. Altocumulus lenticularis: These are clouds usually found in mountain ranges and they appear smooth, thin, and lens-shaped. Cumulus fractus: These are clouds that appear in irregular fragments. Clouds can definitely tell what weather a particular place is going to have. 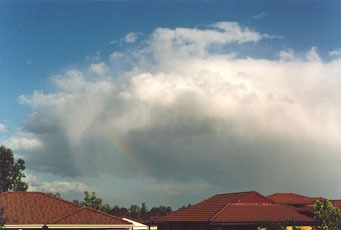 Cumulus clouds and their different variations can bring about all types of weather in certain location. They are related to fair weather conditions and they appear like cottons in the skies. When these clouds assume the cumulonimbus form, they will appear flat, anvil-shaped, and produce clouds that are able to reach heights of 12 miles and may come with very strong upper-level winds. Take pictures from a distance. These clouds are white or gray from the base and they boast of their convective structures, on the sides and top. By taking photos from a far, you will be able to see more of the variety in its structure and get to appreciate it as a whole. In terms of equipment, there are some things you need to know. Depending on the type of cloud that you are taking pictures of, you might want to consider using more telephoto lenses or wide-angle lenses. Taking photographs of clouds are better done at a distance, so you will really do better if you have a zoom lens. If you encounter the sun from the side while you are taking your pictures, it will be easy to adjust contrast by using a polarizing filter. Clouds like the altocumulus clouds are better taken overhead because you can see more of its structure this way. Since clouds are very difficult to meter on, it is usually smarter to use a digital camera instead of a film camera. This is important if you do not want to underexpose or overexpose your pictures. Cumuliform clouds are just one type of cloud. There are others that you need to learn about such as the Stratiform and Cirriform clouds.